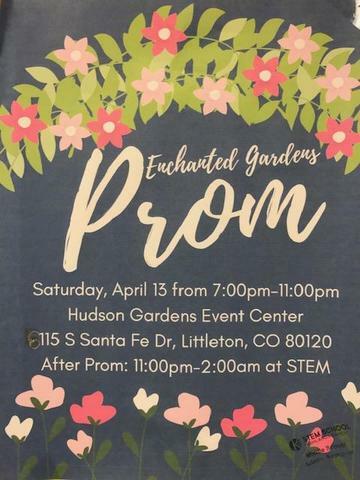 For juniors & seniors: Click thru for event details, ticket info, prom permission slip & after prom waiver. Attention all Juniors and Seniors! Prom is just around the corner, so save the date! Tickets will be sold during lunch from April 3rd - April 12th. Door Prizes: Microwave, IFLY Gift Cards, Amazon Echo, Samsung Galaxy Tablet, tons of gift cards! All students must fill out the Prom Permission Form and The After-Prom Waiver, found HERE. The After Prom Committee has planned an amazing night for our wonderful juniors and seniors! Now, we just need volunteers to see this event to the finish line! If you need volunteer hours, this is a fun and easy way to do it. The administration has approved DOUBLE HOURS for anyone who volunteers for this event, parents, as well as staff. All STEM parents are welcome to help! (This is not just for parents of junior/senior students!). Click HERE to view sign up sheet.